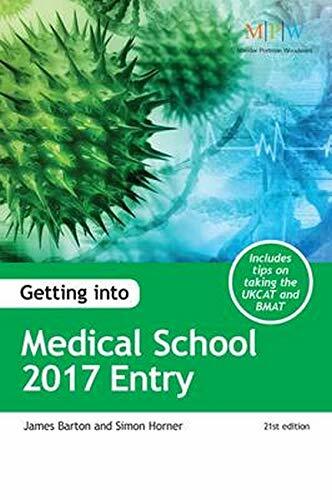 Are you embarking on the daunting and highly competitive medical school application process? Do you want to know how you can increase your chances of gaining a place? Competition is tougher than ever. Your one-stop-guide to getting into one of the toughest courses in the UK. Includes: * Securing work experience. * Advice on admissions tests including UKCAT and BMAT. * Current issues affecting the industry. * Areas you can specialise in. Founded in 1973, MPW, a group of independent sixth-form colleges, has one of the highest number of university placements each year of any independent school in the UK and has developed considerable expertise in the field of applications strategy. They author the Getting Into Guides which explain the application process for many popular university subjects.